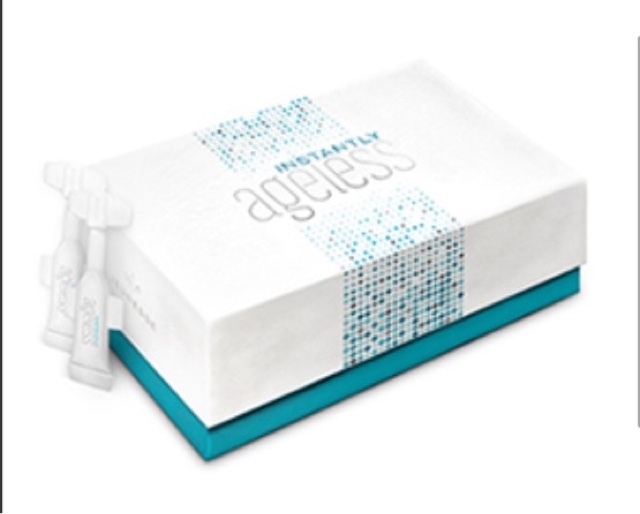 Instantly Agesless is a serum that works instantly to help diminish fine line, wrinkles, dark circles and puffiness around the eyes. It is an instant fix, a breakthrough product that transforms skin in under 2 minutes. It has a revolutionary ingredient that has been helping to transform women and men of all ages. It visibly diminishes fine lines and wrinkles. It erases the appearance of dark circles and puffiness around the eyes. It minimizes pore size, helps to even skin texture, skin tone and restores skin to its optimism performance. Each vial lasts 3 days. For best results, go to the website: http://www.instantagelesstoday.com for more information. This product is sold on Amazon.com, fit various prices depending on how many vials there are to the box.